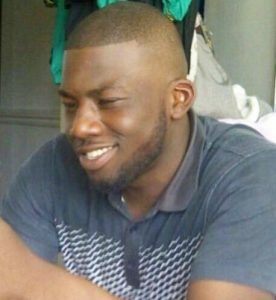 THE family of a 25-year-old stabbed to death at HMP Coldingley say they will treasure the time they had with their son and brother. Bisley prison, which took place on Friday 1 April. Madala, who is from Merton in south west London, was allegedly killed by a fellow inmate while serving a sentence of his own. Madala’s grieving family said: “Let us remember the 25 years that our son and brother has blessed us with. His beautiful presence, loving spirit and aspirations for the future will never be forgotten. “As we remember his dreams, we pray that they may not be washed away with our tears but remembered every day. Our love will remain unshakable for our beloved Madala. “We would like to thank all family and friends who have given us support at this devastating time. A 23-year-old convict who was arrested on suspicion of murder in connection with the incident has been bailed until 2 June. Officers from the Surrey & Sussex Major Crime Team launched a murder investigation following the attack and are continuing to carry out a number of enquiries to establish the circumstances surrounding Madala’s death. A member of the Prison Officers’ Association confirmed that there has been a marked increase in violence – including homocide – in prisons across the country. Last year a total of 257 people died in police custody – eight of which were homocides – the highest number on record since 1978.